I'm increasing my sales at local craft shows and galleries. 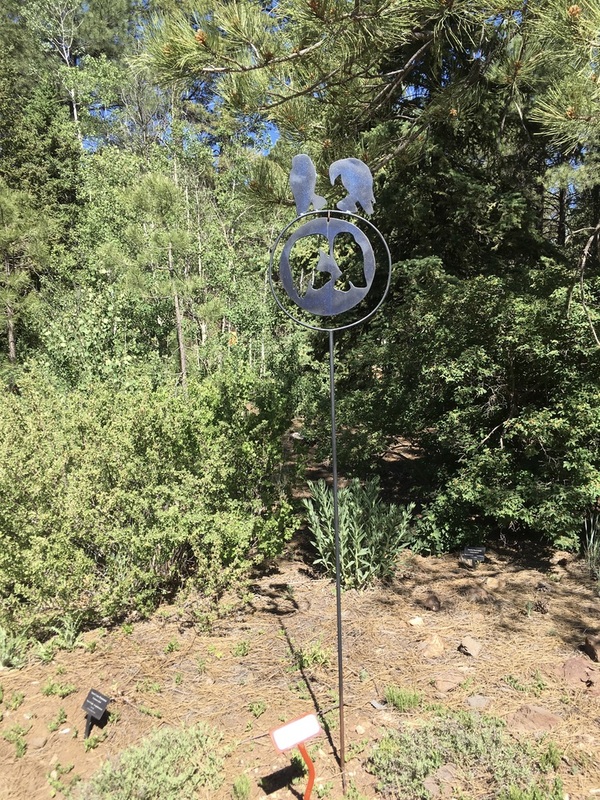 I'm selling some of my metal work at the Tucson Botanical Garden and Flagstaff Arboretum gift shops. They're carrying my bird feeders. 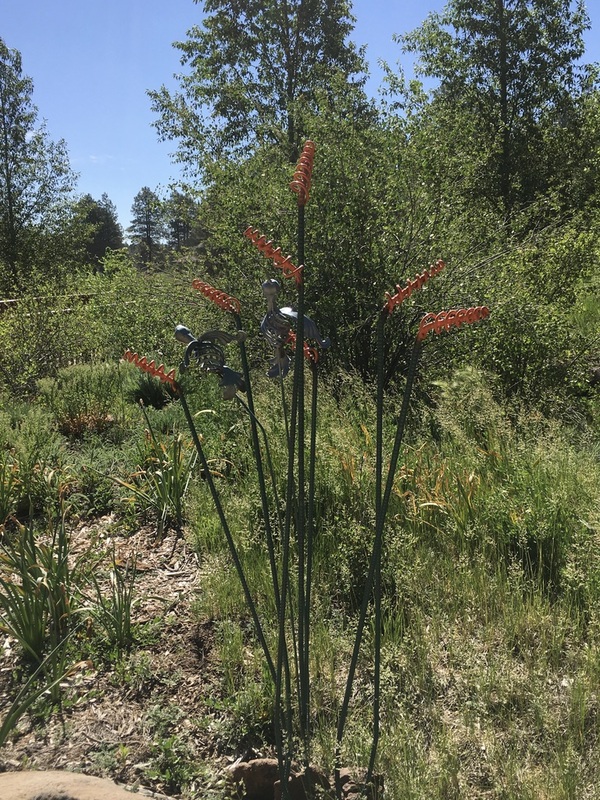 The Arboretum at Flagstaff is also carrying my hummingbird trellises. 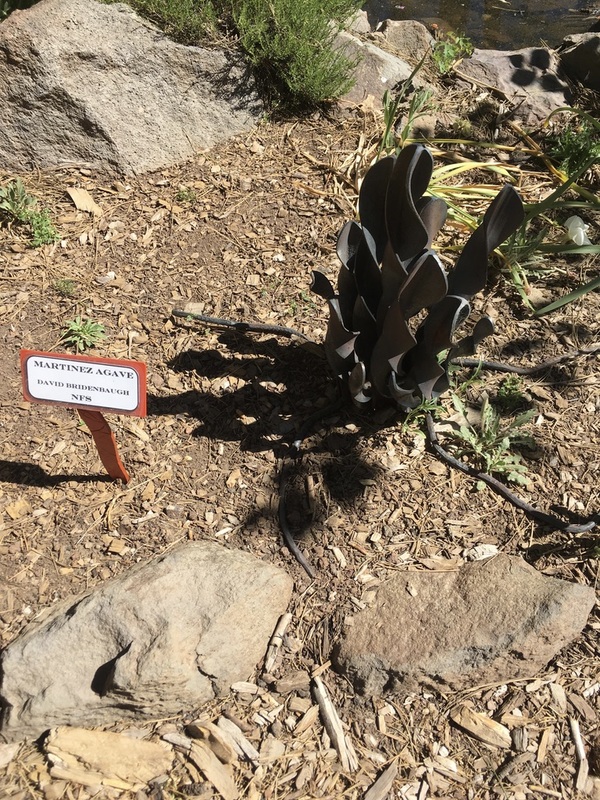 The Botanical Blacksmiths exhibit is currently going on at the Tucson Botanial Garden. 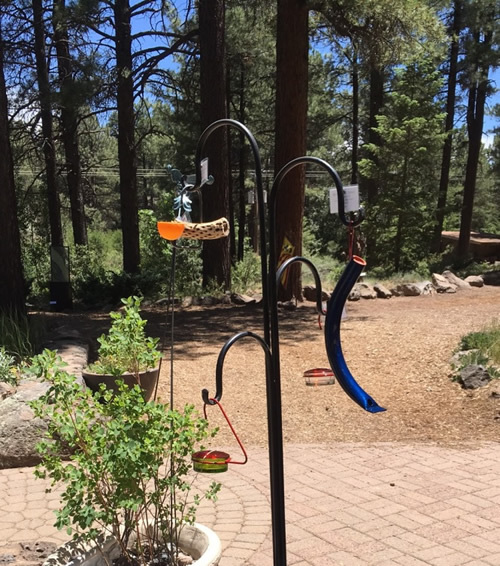 Of my pieces they have my seed feeders, fruit feeders, hummingbird feeders, S hooks, and hummingbird trellises. 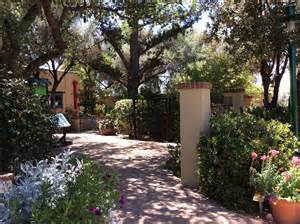 Several of my bird feeders are also for sale at the Presidio San Agustin Gift Shop in Tucson. 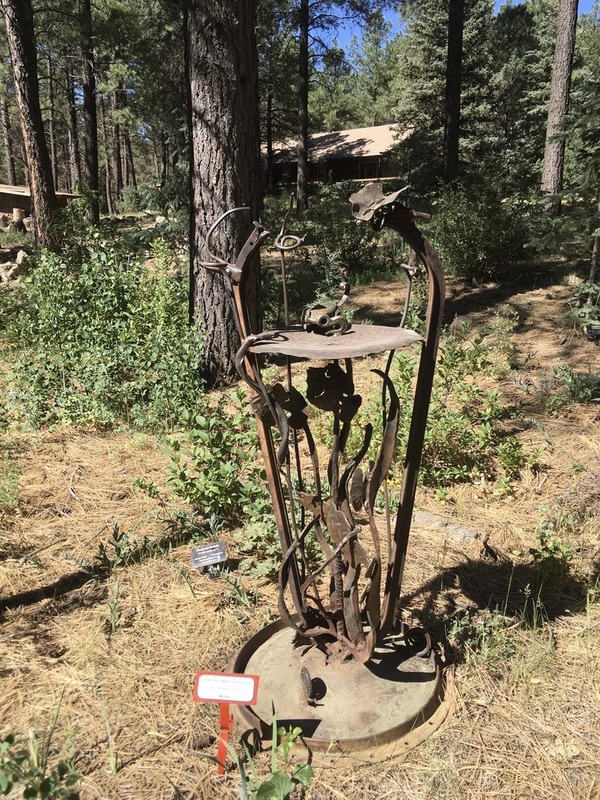 This summer (2017) I participated in the Botanical Blacksmiths exhibit at the Flagstaff Arboretum. 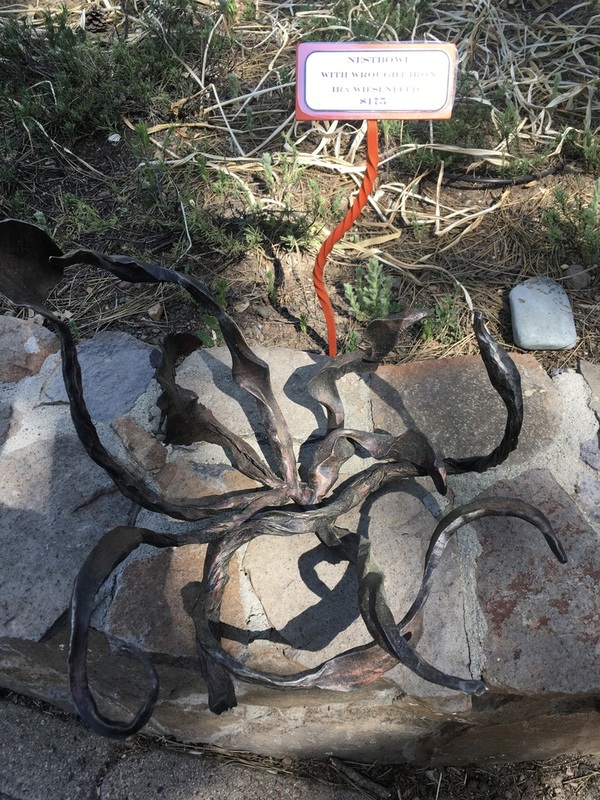 I entered my ocotillo and hummingbird sculptures. June 10th there was a reception for the artists and we also sold some of our work there. I'm currently making hummingbirds. 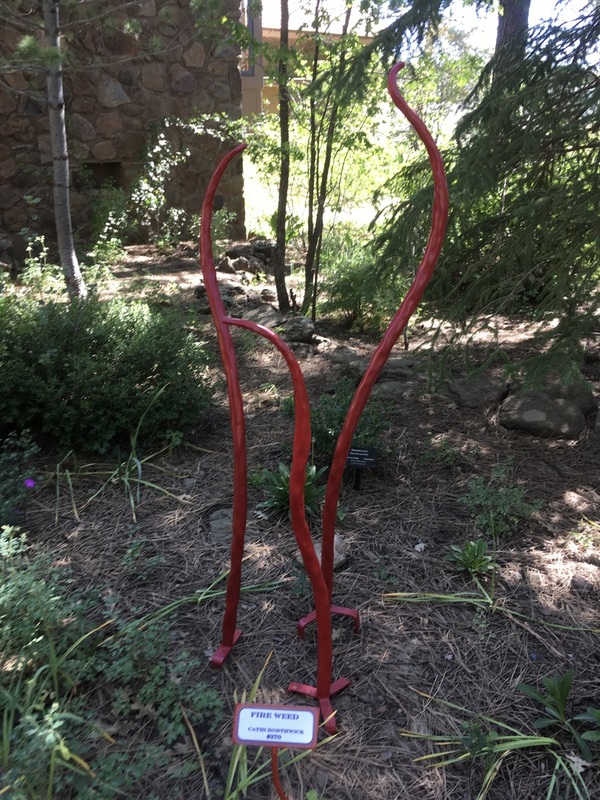 I've put them on a tripod stand which will allow them to be freestanding in a garden, on a patio, or used as a trellis to allow vines to wind around the hummingbird. I'm also incorporating the hummingbirds into my existing line of ocotillos. 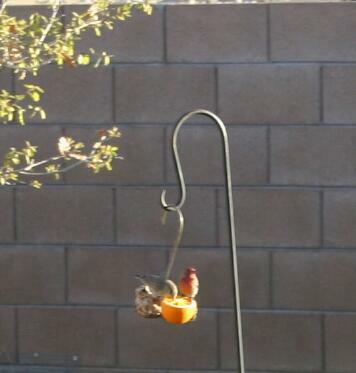 Bird on red tube/seed feeder. 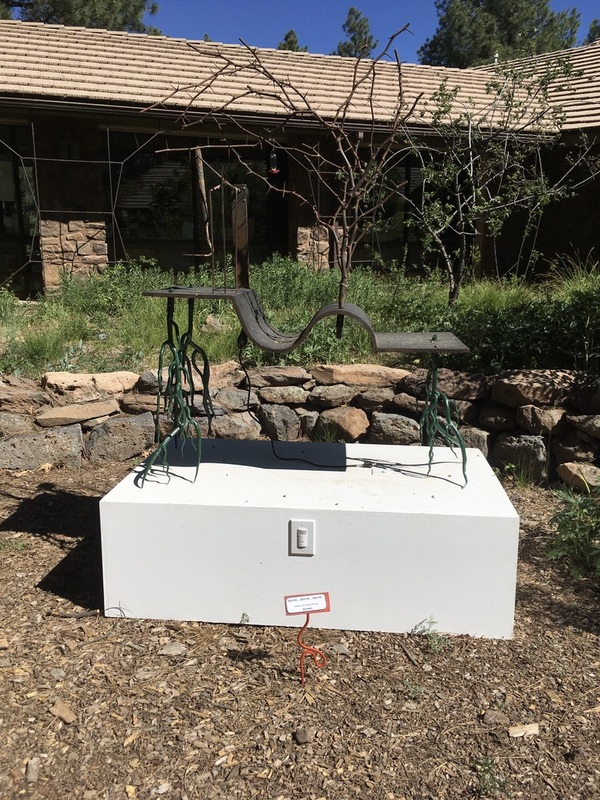 The seed feeders are now powder coat painted to better stand up to the outdoors in the desert. A rawhide loop in the top provides a way of hanging the feeder from either a tree limb or a shepherds hook. 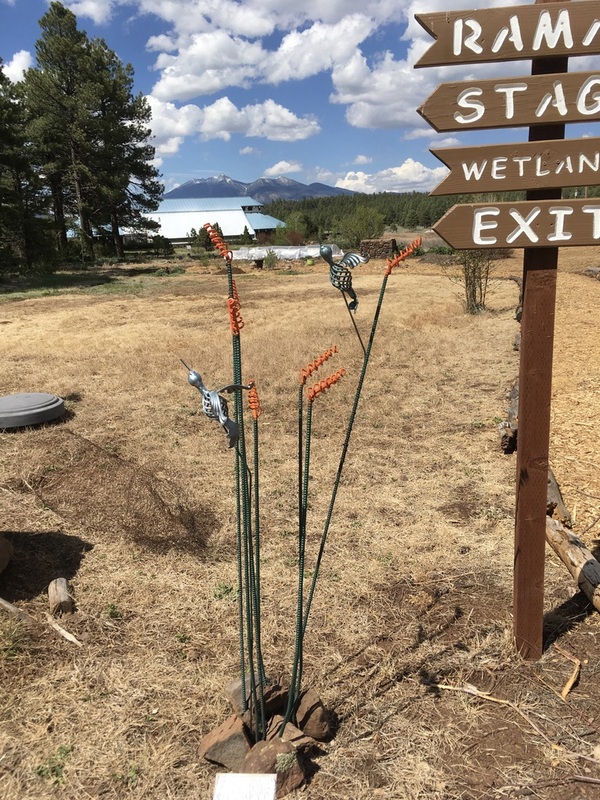 The fruit feeders have been redesigned to include a hook for hanging the feeder and a cholla skeleton perch has been incorporated for the birds to roost on while feeding. 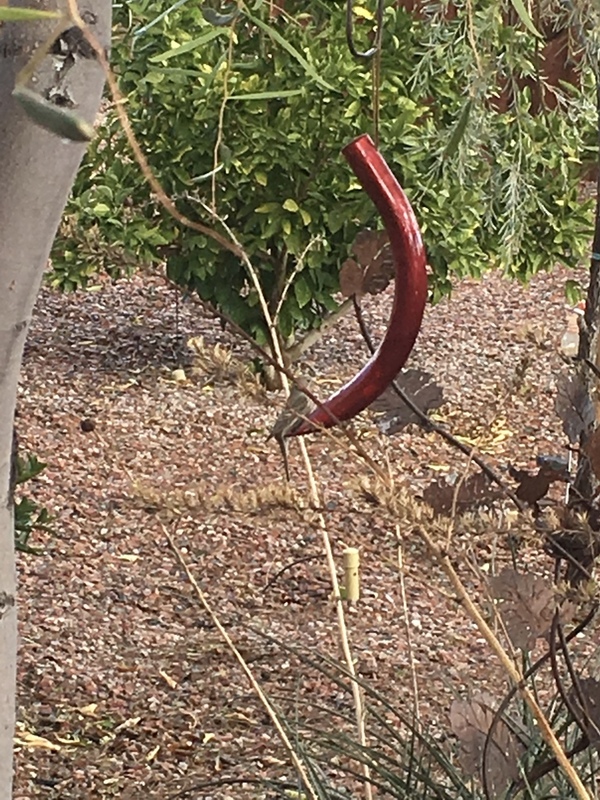 I've started making hummingbird feeders. I learned how to make one variety at my Festival Forging class last summer using a wine bottle. However, since I don't drink it turned me into a "dumpster diver" to collect wine bottles. 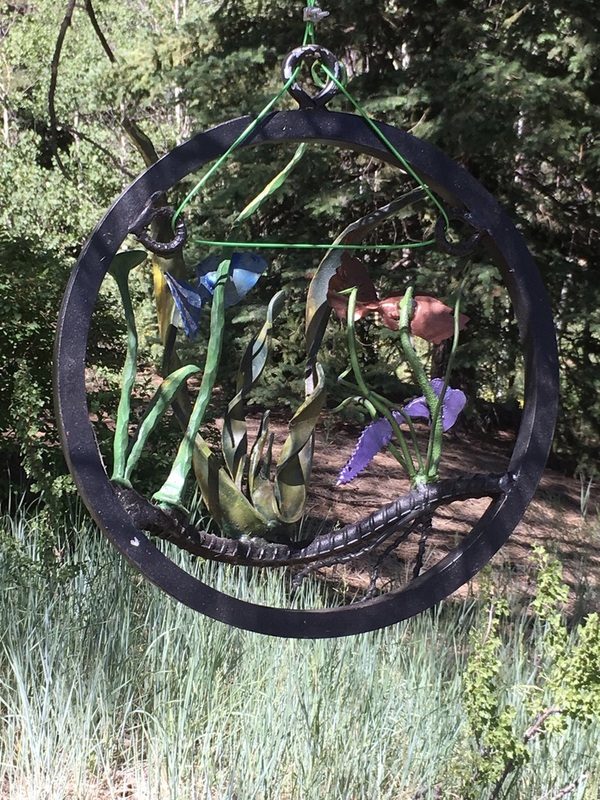 After talking to a fellow crafter, she put me onto a glass company that makes glass hummingbird feeder containers. I ordered a few and then worked out a design for a holder. A couple of interrations later I had a holder I could confidently say "I designed and made that!". I then powder coated them in bright red. 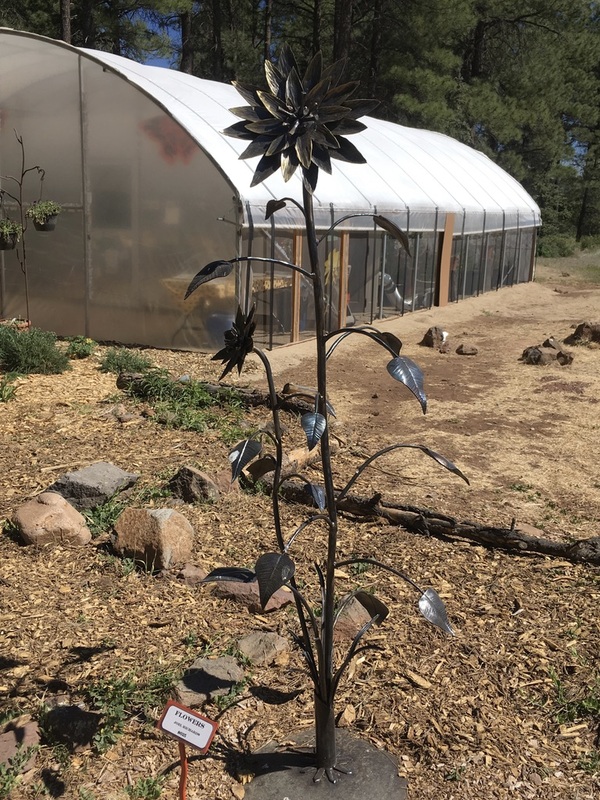 The concept of the Botanical Blacksmith Exhibit first came along when Flagstaff metal artist Cathi Borthwick was looking for a way to get a spotlight on artists who do forging work. 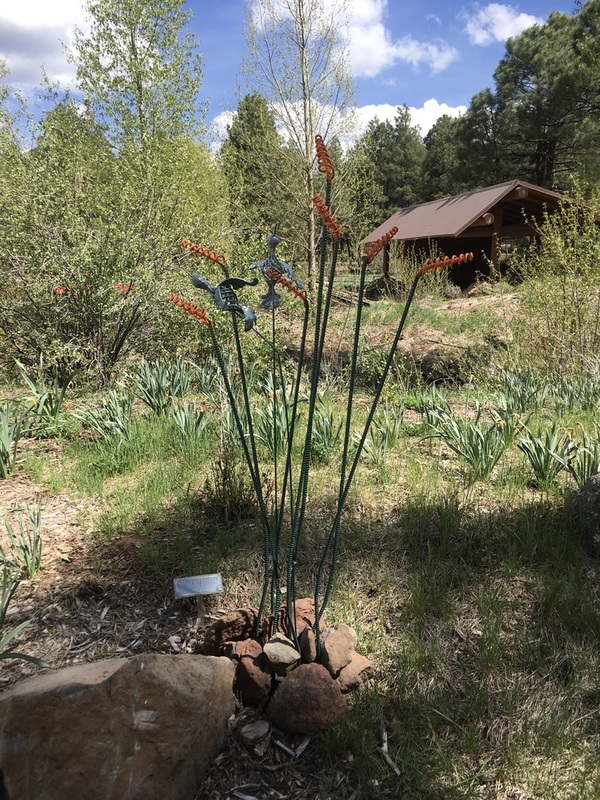 She spoke with Elizabeth Vogler, who worked with the Arboretum at Flagstaff at the time, and she suggested a display of the metal sculpture works at the Arboretum. 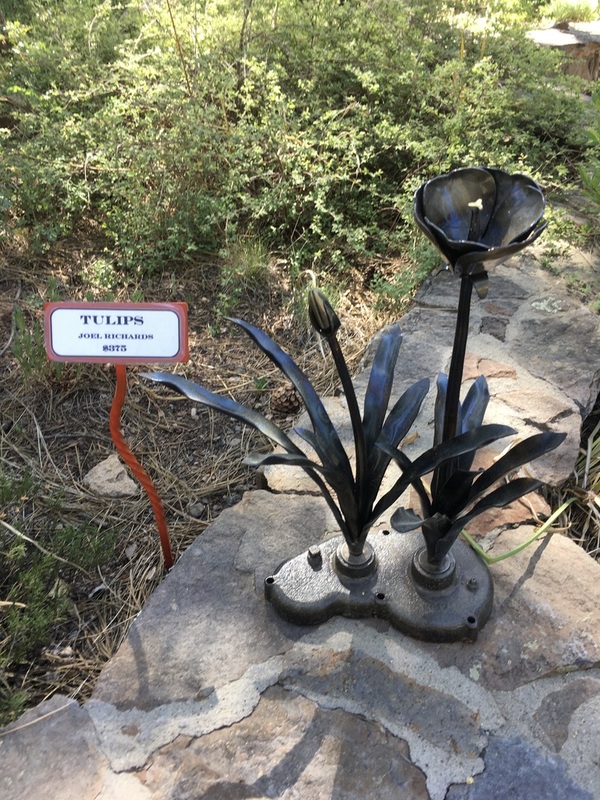 The first exhibit happened in 2012, and it proved a big success to spotlight both the artists and bring an added element to forests and gardens. 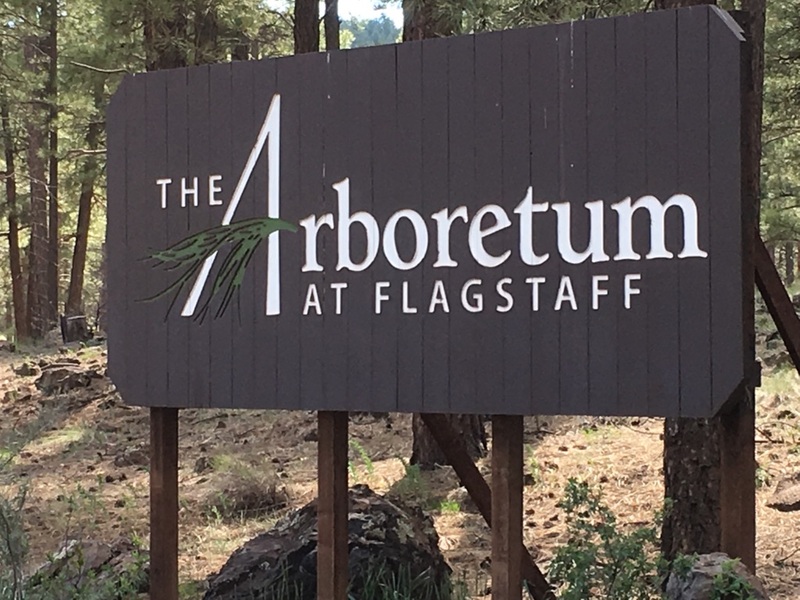 "We love it because it adds such interest to the grounds," said Lynne Nemeth, executive director at the Arboretum. "I think it's such a great partnership … I love how it provides a contrast—the lush greenery and the ironwork. There's often a color contrast that makes it pop." 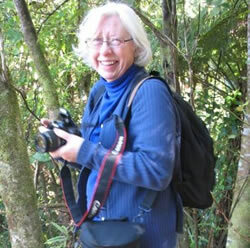 Cathi Borthwick, the organizer and guiding light of the event, likes how the art interacts with the growth and changes in the gardens. 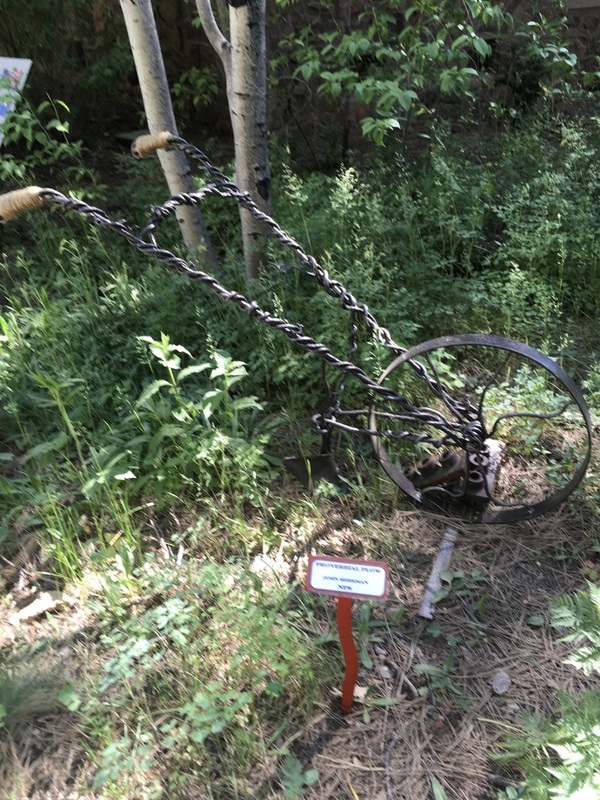 "The art really changes as the garden grows and starts to grow around it. It changes the way people see the art." 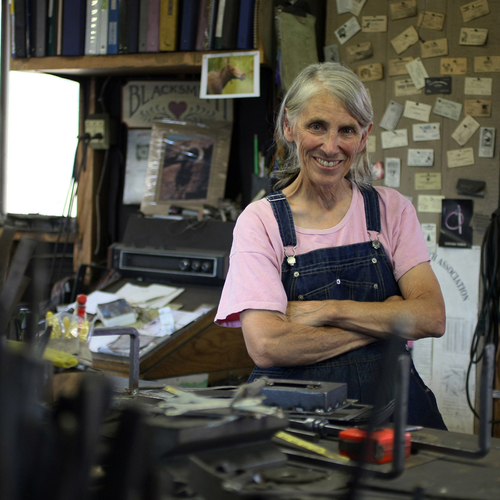 I started out as a Farrier here in Flagstaff in 1982. 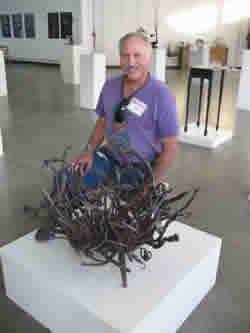 I started realizing that I loved using my forge,anvil and hammer to create sculptures that reﬂected the living things that surrounded me! My abilities with the forge started when I went to Farrier school and my highest grade was in the shoe making process. A lot of the techniques that I used to make corrective shoes for horses were instrumental in creating the pieces I make to this day! 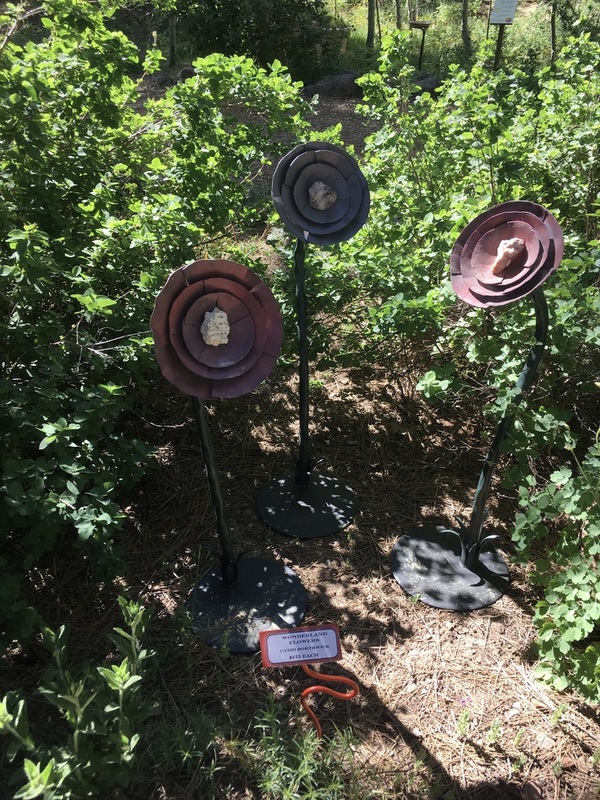 Rachel Wilson, whose fabric banners interact both with the flowers and other plants of the Arboretum and the metal sculptures, echoed Borthwick's thoughts of how the natural world comes to interface with the pieces. "With translucent fabrics, the sun and the shadows and the wind are changing the art all the time," she said. "When (my art) is outside, there's a dynamic. It's moving all the time." 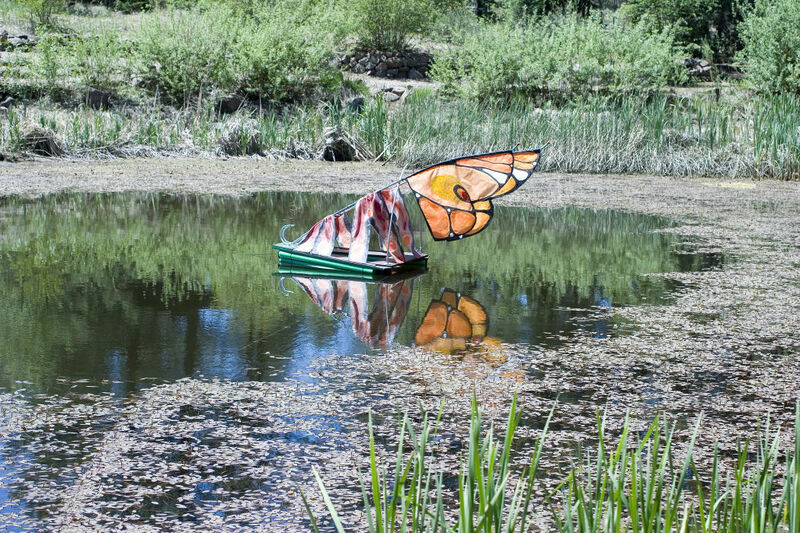 Nemeth had the idea of having an installation art piece in the pond for this year's exhibit. 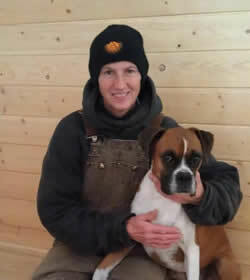 Rachel Wilson took up the challenge and created a floating fabric and steel-framed piece called "Waterbug." It brings a colorful centerpiece to the pond, a key feature to the Arboretum. 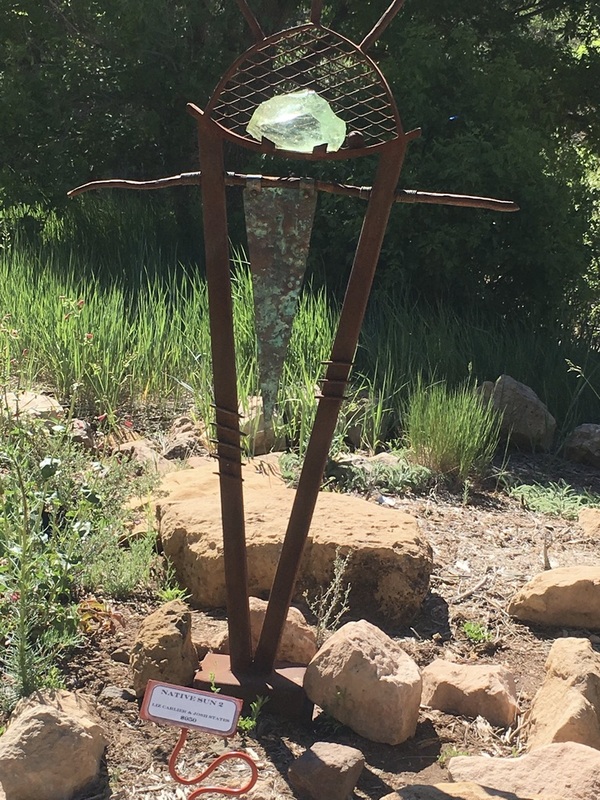 "We love how the artwork makes the arboretum more beautiful, and it shows how we can bring beauty to the garden with art as well," Nemeth said. 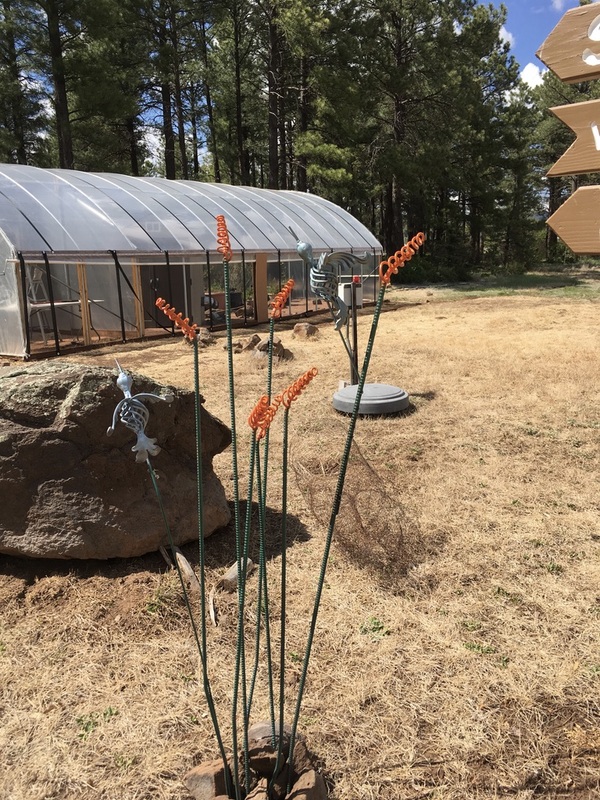 "And it's neat to see this kind of work with the gardens, the living with the permanent." 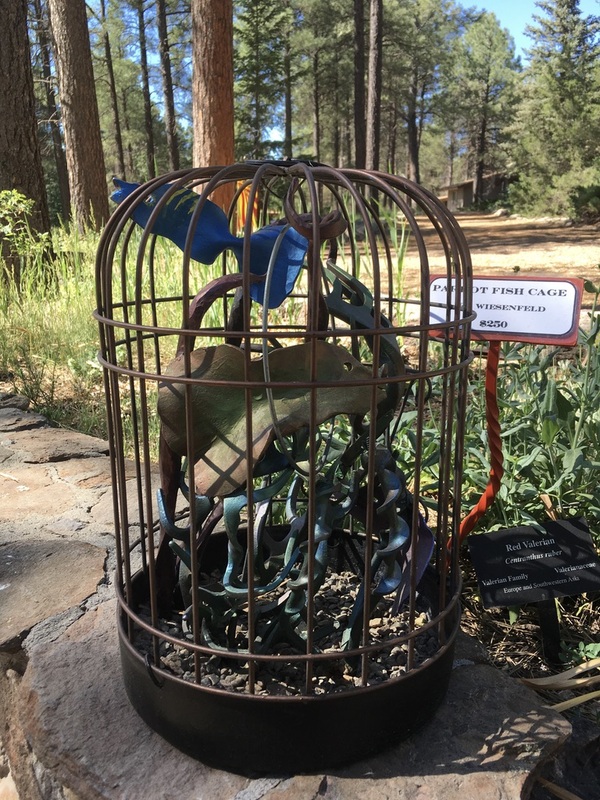 Members of the Arizona Artist Blacksmith Association from across the state have continued to bring ironwork up to be displayed in the gardens and, in some years, have also brought smaller pieces that could be purchased through the Arboretum gift shop. Many of the pieces of the current exhibit are available for purchase. 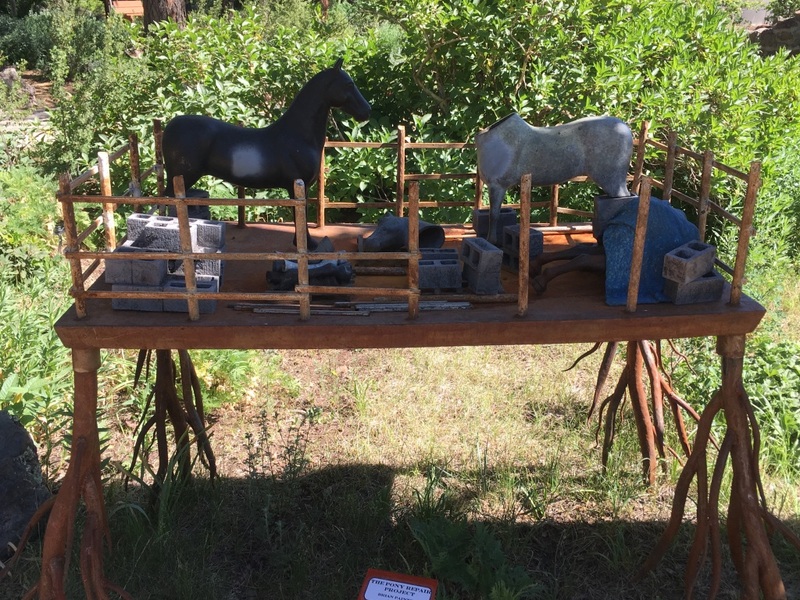 Nemeth said they would like to keep the pieces for the season even if they sell, but with the cost of shipping, some of the metal works will likely go home with the person who buys them.